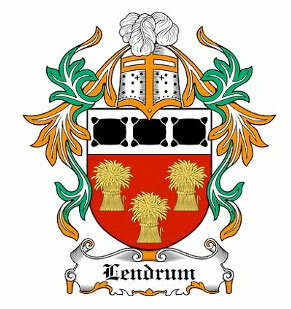 Wife of George Lendrum and mother of Robert, George, Edward, Sydney, William, Thomas and Maude? Photo taken by Herman John Schmidt in 1909. No known Copyright - Acknowledgement to 'Sir george Grey Special Collection, Auckland Libraries. Photographer Herman Schmidt invariably etched the name of his clients into the emulsion of his negatives, but usually just a surname. Some of his daybooks and negative registers have survived, but these just have the title "Mrs Lendrum" against this negative number. Sometimes it's possible to deduce names from other photo sessions, but there are no other Mrs Lendrum portraits among the surviving negatives. Having said that some library users have managed uncover names by trawling through the rest of Schmidt's daybooks (NZMS 1347), but this is a long job and there's no guarantee that any further information can be gleaned.